So, we’ve had a lot of posts about the hardware and whatever else of the new consoles, but never have we looked at the actual differences between the graphical quality and smoothness of the games on last-gen and current-gen consoles. 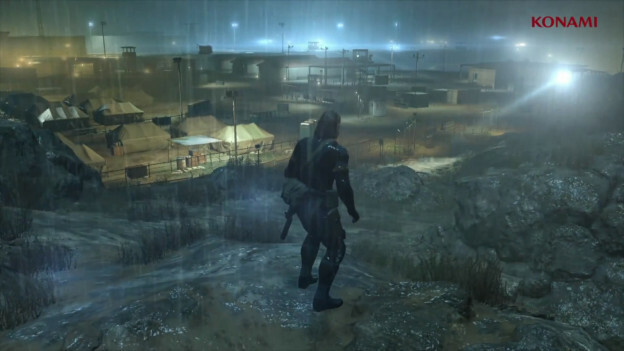 The game we’re going to be comparing is the new Metal Gear Solid V: Ground Zeroes. What seems to be is that the games do not differ THAT much. The textures are a bit more detailed and the lighting with shadows have definitely improved. But is it really that different? Due to the “improved lighting and shadows” the characters now look like plastic dolls even more than they used to. Nice lighting and shadows is good, but too much of it makes it looks like everything’s made of plastic or play-dough. What seems to be the case is that there are more particles, but they actually make the characters look LESS real. Hopefully this will get resolved at some point. While the graphics aren’t that much different, lets remember the days when the Xbox 360 and the PS3 first came out. The games weren’t that different from what they used to look like on the PS2 and the original Xbox. The graphics were only OK, but as the time passed, it was hard to tell whether the newer games were running on the actual same consoles or have there been any hardware improvements down the line. Anyway, enough rants for now, we’ll leave you with a video of a detailed comparison so that you could see for yourselves.